Step 1: Except vanilla ice cream put all the above ingredients in a Blender. Step 2: Now blend all the ingredients properly inside the blender. Step 3: Now take out the mixture in a glass/cup. Step 4: Now put some cutted cashews and strawberries over it for decoration. Step 5: Now add vanilla ice cream scoops over it. 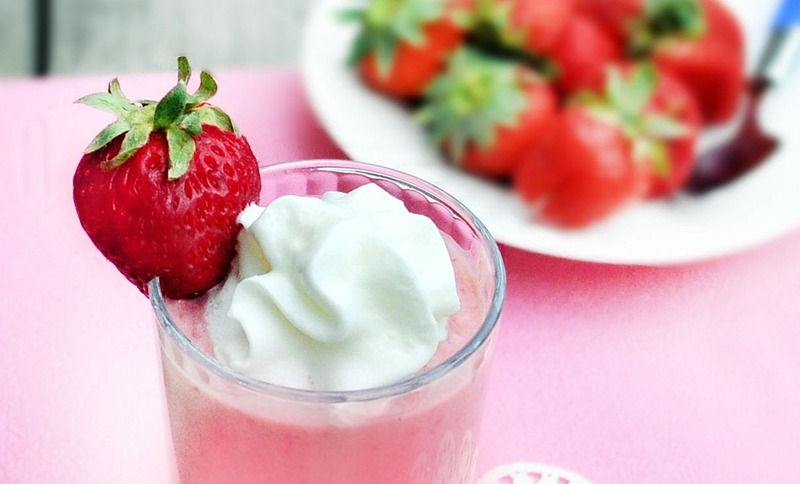 Cool, fresh and tasty strawberry shake is ready to be served.